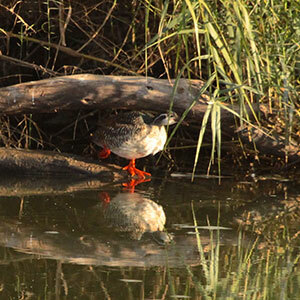 Experience the natural beauty of the Bushveld at Groot Krokodil Lodge, set along the Krokodil River about 70 km outside Brits towards Thabazimbi in Limpopo. 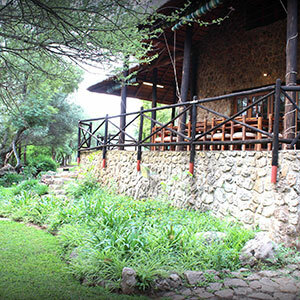 You have a variety of accommodation options available to choose, from elegant lodging to fully equipped chalets, cabins and camping/caravan sites, you can expect an exceptional level of comfort, rest and relaxation at Groot Krokodil during your stay. 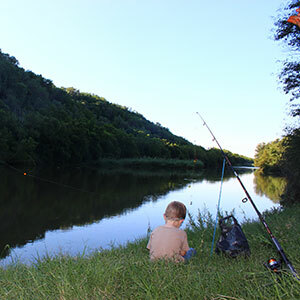 Groot Krokodil offers a range of facilities available for all to enjoy, from casting a line while the kids play in the pool as well as picnic and braai facilities – this is the perfect place to spend the day with family and friends. The Crocodile River provides some spectacular views, while the sound of the river whispering in your ears makes it easy to forget about all of life’s worries. We offer picnicking, fishing, walking and bird watching to view the abundant range of birdlife and identifying various trees and plants that would satisfy any nature lover. The beauty of birding, is to experience the different habitats, meeting new people and in a small way understanding how nature is put together. Birds give you a different view every time you see one as they will offer you many different aspects of their lives. Enjoy the warm hospitality that Groot Krokodil has to offer with their open hearted and hands-on style, Groot Krokodil is a unique destination! The focus of Groot Krokodil is relaxed and informal and we invite you to discover Mother Nature at her finest. In the evening sit around a large boma fire – at the lodge, chalets or the camping area, relive and share your experiences and enjoy all of the warm hospitality that Groot Krokodil has to offer. Whether you have travelled from near or afar we know you will enjoy our open hearted and hands-on style and we trust you will depart as friends, to return to us again soon. Our pub is open for light pub meals and drinks, whether you are wanting to relax or support your favourite rugby team. Groot Krokodil is also available for wedding, corporate, yearend functions, family gatherings & birthday parties. Also, accommodation available for contractors. We have picnic facilities by the swimming pool area with braai facilities. Ablutions with hot and cold water.